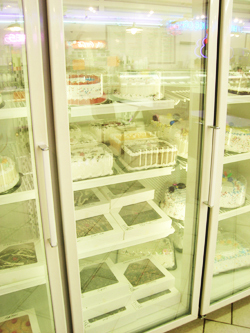 Our Homemade Cakes are delicious! 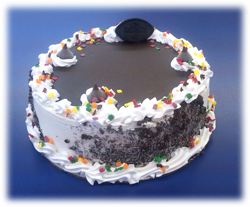 We offer traditional cakes or you can create your own with ANY FLAVOR from our Large Assorment of Flavors! 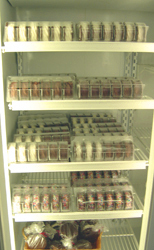 Our cakes are also available with a layer of Devil's Food Cake or Yellow Cake upon Request. 'Edible Photos' are available! 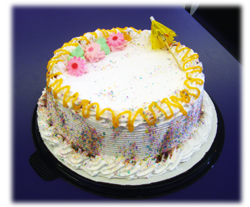 Inquire about a custom/personal photo on your next Cake! The "New Personal Size" or the larger 7" , 8" , or 9" Rounds. 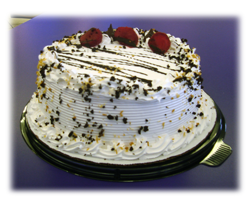 We also offer 1/4 Sheet and 1/2 Sheet Cakes! Made with any Flavor! A Great Treat!